I love to dehydrate. It is my favorite way to preserve. Any fruit or vegetable that exists, I can and will dehydrate it. Broccoli is easily grown in the garden and we always get a huge harvest from it and can't eat it all before it goes bad so we dehydrate it to be eaten throughout the winter. By dehydrating it, we can have broccoli whenever we want without running to the store. When it comes to dehydrating broccoli, you begin by washing your broccoli thoroughly. Then cut the florets from the stems. If the florets are really big, I cut them in half. Then in a small pot, boil some water and once it is boiling, drop some of your broccoli in and let it bowl one minute. Remove and add more until it is all blanched. After blanching, the broccoli is so much brighter and prettier than before. 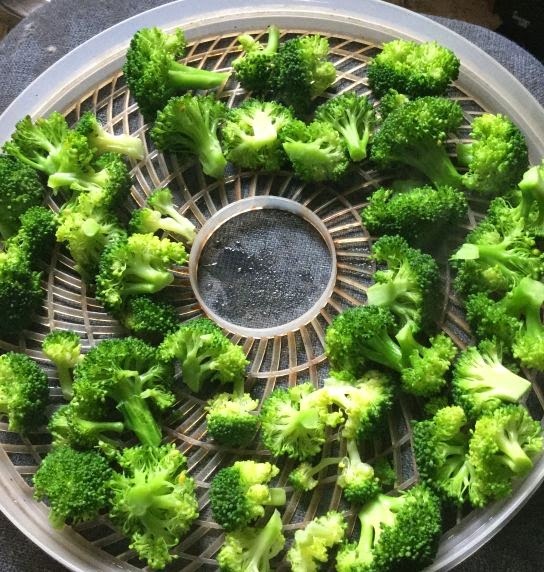 Now, spread out the broccoli onto your dehydrator trays. Turn on the dehydrator and let it dry for about 8 hours. The broccoli is done when it is brittle. To use, just place the dehydrated broccoli in a bowl of really hot water for about 15 minutes. It can be used just as you would fresh broccoli. If the broccoli doesn't look "fresh" enough, just soak it in ice water for about 5 minutes and then use. The cold water improves the look and texture. Serve it as a side dish topped with cheese; in soups; or casseroles. The stems I dehydrated also. We are not huge fans of the stems so once they are dehydrated I throw them in my Magic Bullet and grind them into powder. I add some to my green powder and I save some as broccoli powder to be used in dips and as a soup filler. I also like to dehydrate Cauliflower! When you own more than one type of animal, the trick is getting them to coexist peacefully. Chickens are excellent animals to raise, and they can contribute so much to your homestead. If you also have dogs, however, it’s important that your dogs are taught not to treat your chickens like playthings or prey. 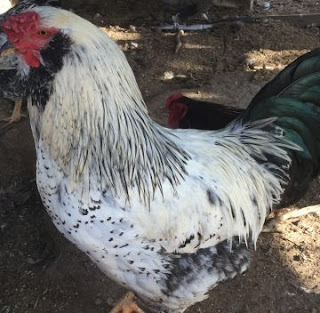 Some dogs’ hunting instincts will cause them to hunt your chickens, and other dogs might chase your chickens for fun, which can lead to accidental harm or death. If your chickens are bothered by your dogs, their egg laying patterns will be disrupted. In order to protect your flock of chickens from your dogs, you have many different options. An electric dog fence is one way to separate your animals, and there are various uses for it, as well as a few things to consider before taking that route. If you have one large area that all of your animals use, an electronic dog fence can be used to divide your yard and keep your animals separate. If you already have a traditional fence around your yard, it’s easy to install one boundary wire in between sides to separate your chickens from your dogs. For example, you can cut your yard in half (or in whatever percentages you choose) with one underground wire. Your dogs can be kept on the side closer to your home, while your chickens can occupy the further section (since they don’t need to come inside). With an electronic dog fence, you have lots of options for dividing your property. If you don’t have a traditional fence already installed, you can use an electric dog fence to create a “dog zone” that’s any size or shape. Creating custom zones with an invisible fence is easy to do yourself. A wire gives a lot more flexibility for custom boundaries than a rigid, traditional fence. You can also take another approach to separating your dogs and chickens: creating a perimeter around your chicken coop. An electric fence can be placed around your chickens’ coop and run so that your dogs are kept out. This allows your dogs to have free use of all the space in your yard except for the chicken coop area. An underground dog fence will warn your dogs with a beep first, and then a mild shock, when they’re getting too close to your chickens. Another option is to use a wireless dog fence to enclose your coop and run. Wireless systems are even easier to install because they don’t involve digging and burying a wire. 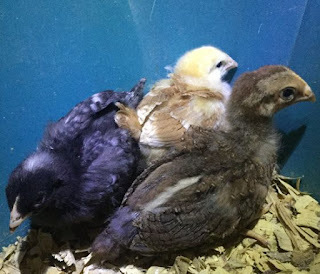 They’re great for chicken coops, too, because they often use circular perimeters, which fit nicely with the size and shape of most coops. It’s important to remember than an electric fence alone isn’t enough to separate your dogs and chickens. While an e-collar will keep your dog in its own zone, it will not stop your chickens from crossing over the boundaries. Because of this, an invisible fence is best used as an extra layer of protection in addition to other safety measures. A tall fence may be required to keep your chickens inside their own safe zone. An electric fence along a traditional fence will stop your dogs from digging under, jumping over, or going through the other fencing. An electric dog fence also will not stop outside animals from entering your chicken coop. Foxes, bobcats, raccoons, and foreign dogs can still cross over underground dog wire. Other tactics like raising your coop, installing motion lights, and using bird netting may be necessary. There are many different types of electric dog fences that can be used to separate dogs and chickens. If you have electricity for warmth or light in your chicken coop, an electric dog fence can use the same power source. If you do not have a nearby power source, you can purchase a solar panel for as low as $100 in order to power your electric fence. Just about anyone can install a DIY electric fence over the course of a weekend. The total cost of a self-installed wired fence can be as little as $300. If you hire a company to install your electric fence, you’ll spend more than $1200, and most traditional fences cost more than $2000. If you’re on a tight budget, a DIY electric dog fence allows you to still afford quality, reliable fencing to keep your chickens safe from your dogs. The process is easy for even a beginner to do, and installing your own fence will give you intimate knowledge of how the system works. Although electric fences don’t typically break, you would also be able to do your own repairs. After you’ve installed your fence, the most important factor is training your dog. You must be consistent with training, and you must follow the training instructions to the letter. It typically takes 15 minutes twice per day over the course of two weeks to train your dog on an electric fence. After they learn the boundaries and lose interest in your chickens, they won’t feel the corrective shock of the e-collar again. If you need to protect your chickens from your dogs, a DIY electric fence is an excellent option to consider. It can help you keep your chickens safe and create harmony between all the animals on your property. Also be sure to read on How to Grow Fodder for your Farm Animals. 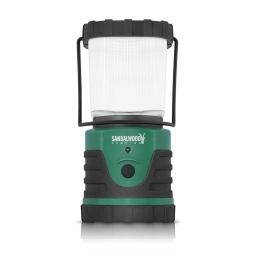 This is a really nice and bright lantern that is perfect for camping, emergencies or prepping. It is super bright and long lasting. Since it is an LED lantern, it can be used continuously for up to 6 days. Most cannot last even half that long. The LED lights are GUARANTEED for 100,000 hours of use and NEVER need replacing. All it takes is 3 D batteries for your family's peace of mind to have a dependable lantern at your fingertips. It is flicker free and very efficient. It can run for 6 continuous days and the LED's remain cool. One of the neatest features is that there is a small pulse indicator on the side that flashes (dimly) every few seconds so you can locate the lantern in the dark or in an emergency. Once again, I was chosen to be a #Disneyside hostess for one of their parties. 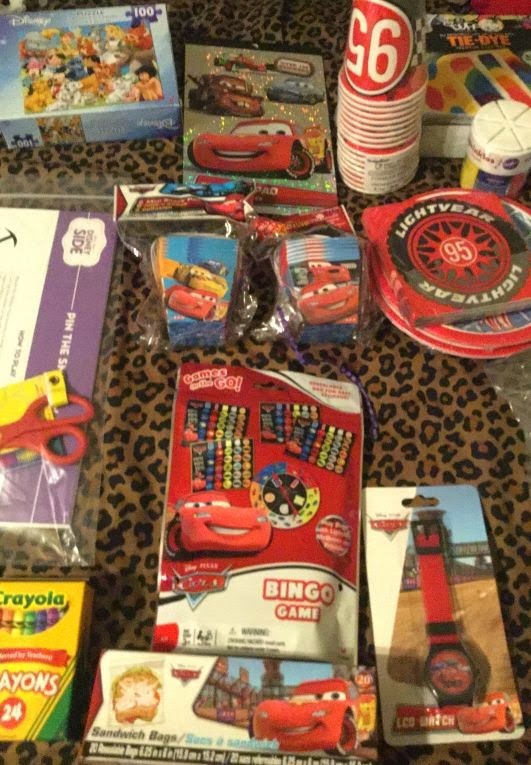 I was chosen to host a "Cars" themed party for preschoolers. How fun does this sound?! 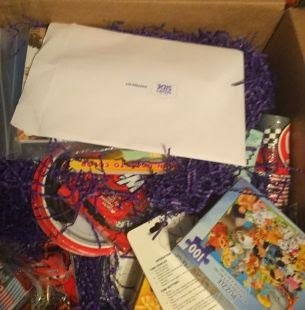 On top of that, they sent me a 20 pound box full of party decorations, supplies and fun gifts. I can't wait for this year's party. Look how full the box is...20 lbs. of goodies! 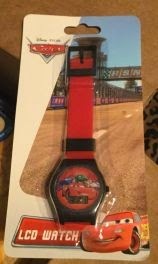 What a cute "Cars" watch? 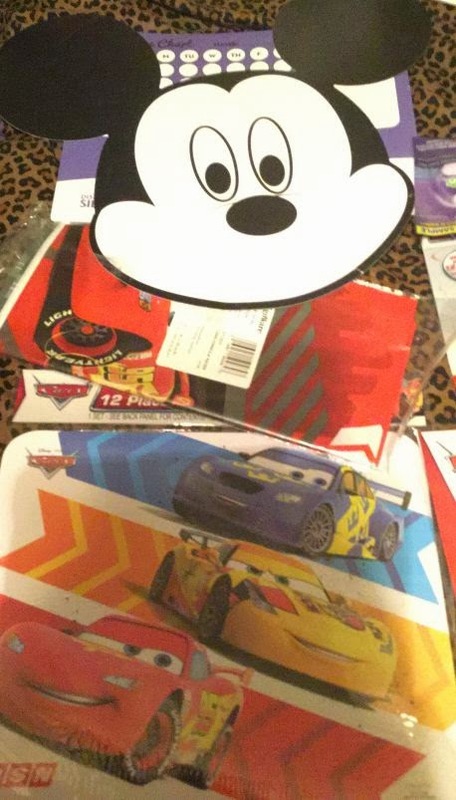 The Cars tablecloth & Mickey Mouse! 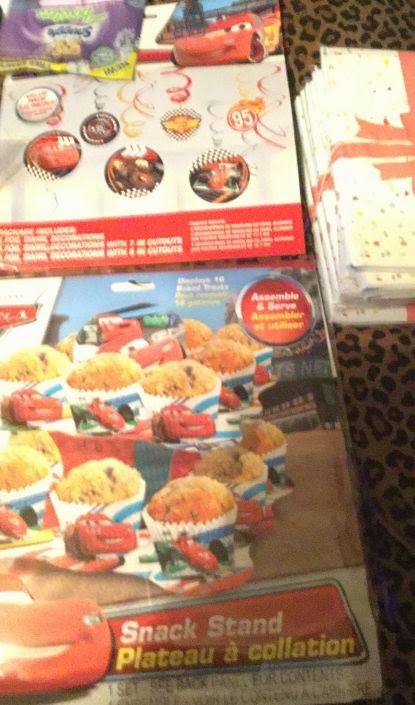 Party decorations and cupcake stand. As you can see, there is a LOT here. 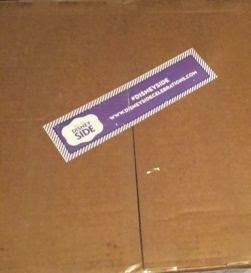 Besides what is pictured, we also got a Mickey Mouse shaped cake pan, a tie-dye cake mix and other goodies (All, Snuggle, Whisk products). Napkins, plates, table cloth, decorations, invitations, party favors, a Bingo & a matching game, puzzles, HP photo packs, Twinings Tea, and I could go on and on. I can't wait for our party next month. In case you want to see how the party I threw last year went, check it out: My 2014 #DisneySide party. The CDC have declared the FLU this year as a US EPIDEMIC. 15 children died last week and a perfectly healthy teen died a week after getting the flu. How scary. It is really early into the flu season so be careful out there people. The flu shot may not be enough because the particular strain that is killing people is not covered by it because it is a mutated strain. Here are 7 tips to remember during the flu season. Tips to help keep you well and how to distinguish between a cold and the flu. Click the link and keep your family safe. I believe strongly about recycling, reusing and repurposing. Before I throw out anything, I check it out thoroughly to see if any part of the item can be used again. For example, whenever we throw out any shoes we remove and save the shoelaces. If we cut up shorts or underpants (or anything with strong elastic in them), we cut out the elastic and save it. A button up shirt is too stained to wear, we cut off the buttons and pockets and save them. Elastic bands from shorts and underpants. In regards to paper towels, we don't use them nor do we buy and use tissues. We cut up old t-shirts, shorts, and holey towels and make "sneeze rags", "personal cloths" and hand towels.with them. It is no grosser than using cloth diapers on your babies (which I did also). It just makes sense for us to do this. 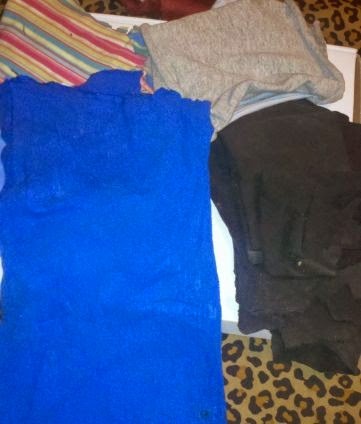 These are some of the sneeze rags and personal cloths we have made from old t-shirts. When a pair of socks becomes too holey to wear, we cut them up and make hand warmers/fingerless gloves with them. Hand warmers/fingerless gloves made from old worn out socks. I am an ultra organized person. Everything is labeled and has its place on my shelves. I have 11 six foot tall shelves wrapped about my living room and things are in easy reach. Nothing is thrown in an obscure place never to be seen again. If we need a button, my family knows they can find one in the cookie tin on the shelf. My hubby is out on the homestead and is working on something that requires some heavy elastic, we don't run to town...I have it on a shelf. Too many people live in a way that if they need something, even if they only slightly need it, they just jump up and run to the store and buy it without ever stopping to think if they have something lying around that could be used instead. There is no reason to buy things you don't need. There is no reason to throw away something you can repurpose. Be smart. Live smart. Save money and use it towards making yourself more self sufficient. We make most things at our home from scratch. We just prefer the taste of homemade better and I like to control what ingredients my family eat. 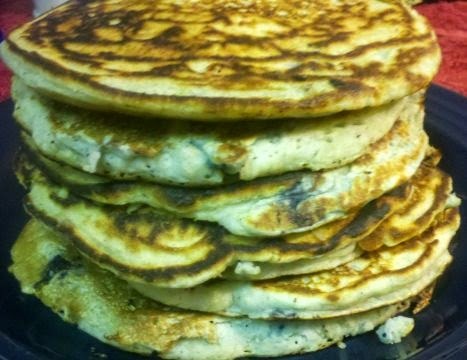 We love making pancakes and thought we'd share the recipe with y'all today. Mix all ingredients together and cook on a hot, slightly greased griddle. Be sure to serve them with a cup of French Vanilla Coffee!